Gerald Dawe gave a presentation on the botanical and other environmental changes in Raleigh Park since his survey in 1996, together with other observations dating from the late 1970s. 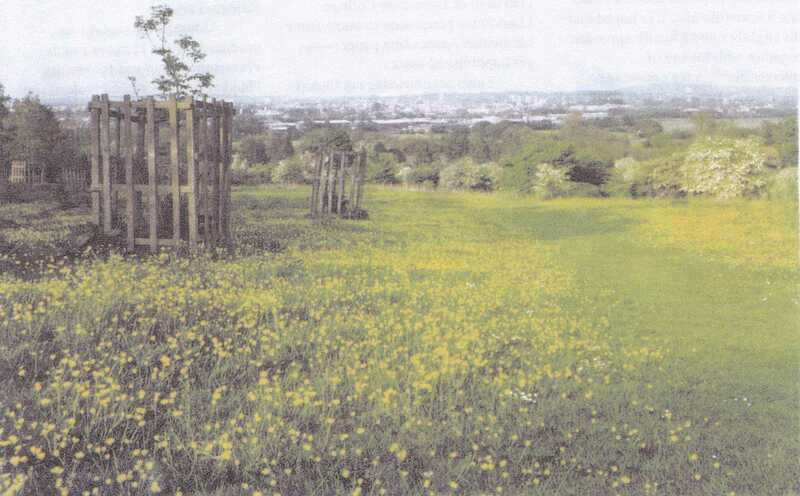 He noted that the grass is much longer and rougher and has nearly swamped the wild flowers which were such a feature of the site as seen in his photograph from the late 1970s. Formerly horses from the riding stables in North Hinksey grazed the Park and kept the grass down so that paths did not have to be mown through it. They use latrine areas (these become long grass areas) so the cropped areas do not turn into nutrient-rich rank grass but tend to become flower meadows. However the underpass under the A34 was closed to horses for a period so the horses were removed from the park and replaced by cattle which it was hoped would do the job. They have not been a success, largely because they are not used to people and have had to be removed from the Park in some previous years as well as this year. The incomplete removal of rank grasses abetted by the lack of dung removal, possibly downwash of fertiliser from arable and even garden areas into the stream and surrounding grassland areas has led to the reduction in the flowers. Yellow rattle would remove nutrients from grasses, vetches and clovers but would give more opportunity overall for wild flowers to flourish. The tufts of cocksfoot grass (and other coarse grasses, left to flower) are useful breeding habitats for meadow brown and essex skipper butterflies. However, they don't need to cover the entire park! The flowers in the above list typify attractive species-rich neutral to calcareous grassland. A recent observation by the group serves to indicate what has happened: "Pimpinella saxifraga Burnet Saxifrage 'Single plant -lost before flowering'". (Source: Raleigh Park. Plants. Provisional. Sept. 2013.) Formerly (in the late 1970s) this plant was more-or-less ubiquitous throughout the Raleigh Park grasslands. It illustrates the extinction process in action. Brambles are spreading, but they do provide a valuable nectar and pollen source for bees and nesting places for birds and solitary bees. The second major change was the loss of the elm trees which had been magnificent but when shoots are thrown up from the roots they are in turn attacked by the dutch elm disease. However, dead snags up to 3m high remain. These are valuable habitats for many invertebrates including moth larvae and beetles, and should be retained. See Alexander, K.N.A.(2002). English Nature Research Reports Number 467: The invertebrates of living and decaying timber in Britain & Ireland: a provisional annotated checklist. ISSN 0967-876X.